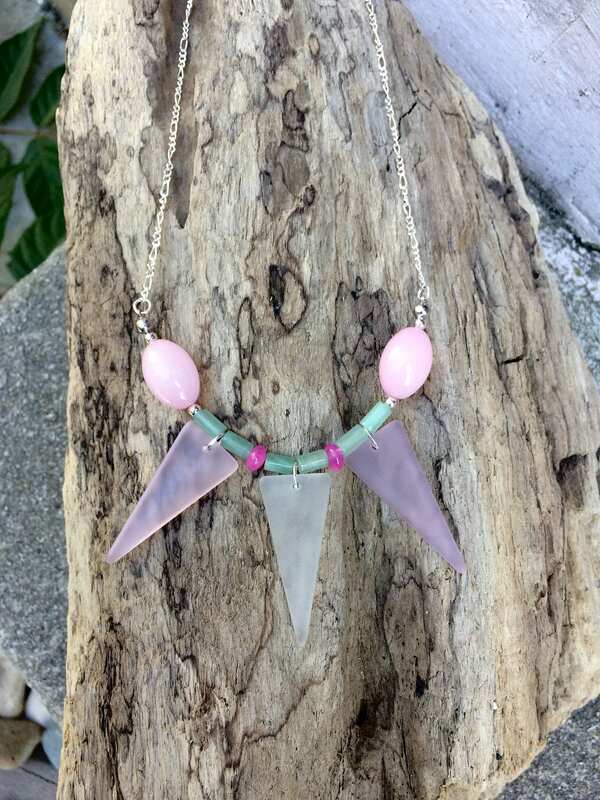 This lovely, pink and white sea glass necklace with pink quartz, aventurine and pink dyed jade is perfect for the lady who loves to shake it up a bit. 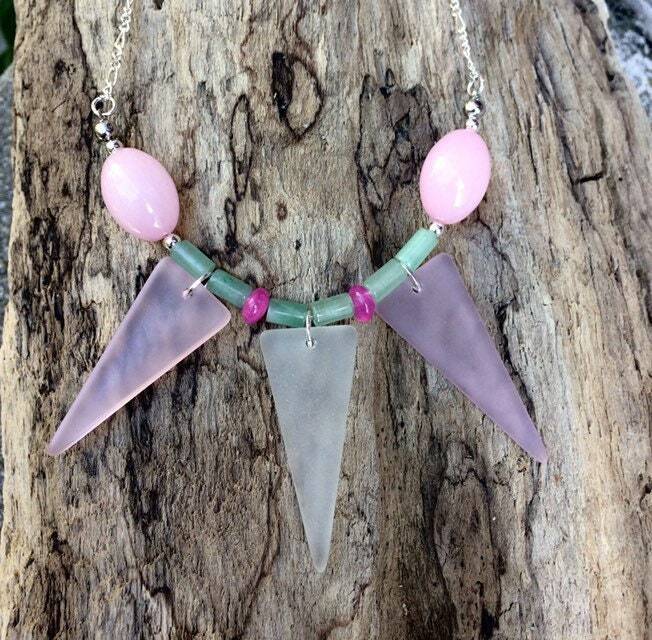 The necklace is 18" long and will come to you wrapped in tissue paper, in a pretty box. It will be mailed First Class in a bubble mailer. If you are ever looking for something that you don't see here, don't hesistate to message us and ask!